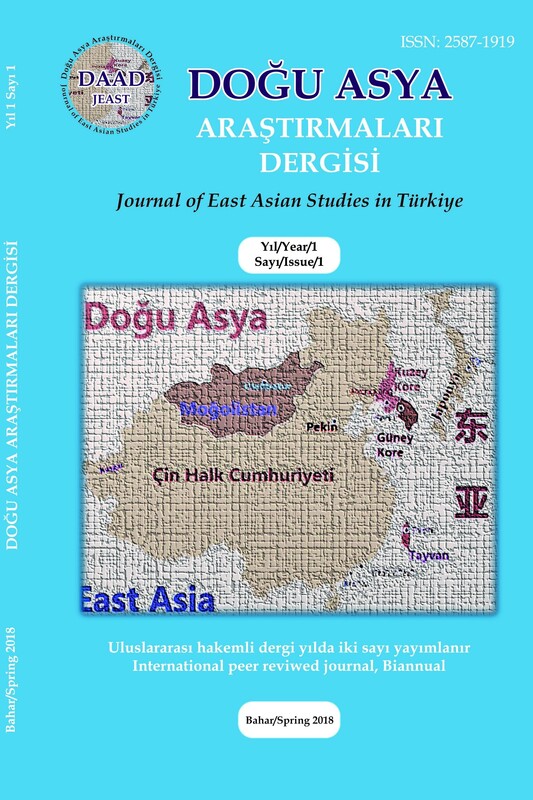 We are thrilled to announce that the The Journal of East Asia Studies in Türkiye (JEAST) has begun its publication life. The aim of the journal is to publish multidisciplinary work on East Asia (spanning Chinese/Japanese/Korean/ Mongolian/ Taiwanese culture, language, literature, political history, economy, sociology, philosophy, belief systems, foreign policy, security and ethno-minority) problem setc. We are also glad to announce the very first issue of the journal. The first issue consists of 6 peer reviewed articles from different fields of social sciences focusing mainly on Chinese studies and one book review. We are grateful to all authors who submitted their manuscripts to our journal. We also thank the reviewers who contributed to the articles presented in this issue with their valuable reviews and comments. Finally, we thank the editors, the editorial board and technical support team for their contribution to the publication of this issue and the quality of the articles. We hope that the studies published in our first issue will be useful for the Turkish readers and academia. Looking forward to meet you in the upcoming Fall issue.